New Zealand is a destination that’s ever growing in popularity, forever known as our real-world Middle Earth. Here you’ll find a range of thrilling, unique and exciting experiences on offer and a diverse range of landscapes. 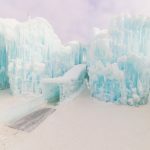 From snowy peaks, mountain ranges, deep valleys and pristine beaches, buzzing cities to ski getaways. Thinking of visiting New Zealand? Here are some of the unmissable locations to visit in New Zealand’s North and South Island. Auckland is New Zealand’s energetic city in the North. It’s home to a variety of exciting attractions to enjoy. Stop by the Auckland Sky Tower, which is an icon of the cityscape. Here you can embrace panoramic views of the bay, surrounding mountains, and the vibrant city. Afterwards, wander down to Queen Street for some big brand shopping. If you’re chasing a natural adventure, then make their way up to the peak of Mt Eden. This extinct volcano is the highest natural point in the city, offering beautiful views of Auckland from afar. 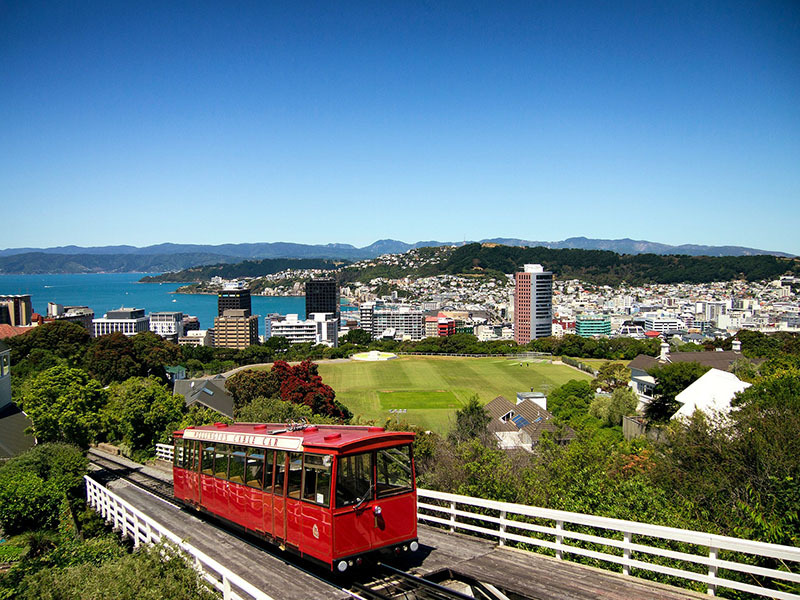 Wellington is the compact capital of New Zealand. 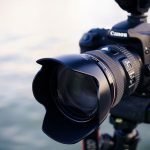 Here you’ll find a variety of entertaining and engaging activities. Mt Victoria draws many people, where you can enjoy sweeping views of the city and bay. Along with a trip to Cuba Street to experience the buzzing nightlife of the city. Middle Earth fans can also get their fix with a visit to the Weta Workshop. 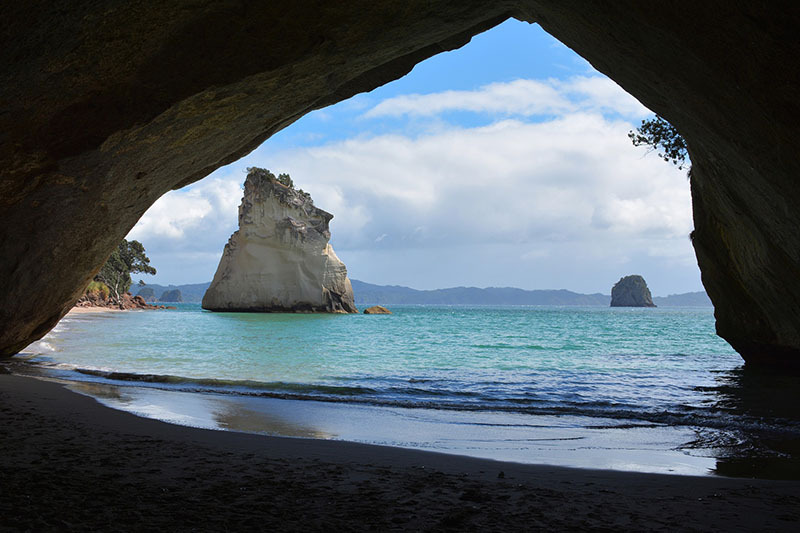 Cathedral Cove is one of the most picturesque spots in New Zealand’s North Island. 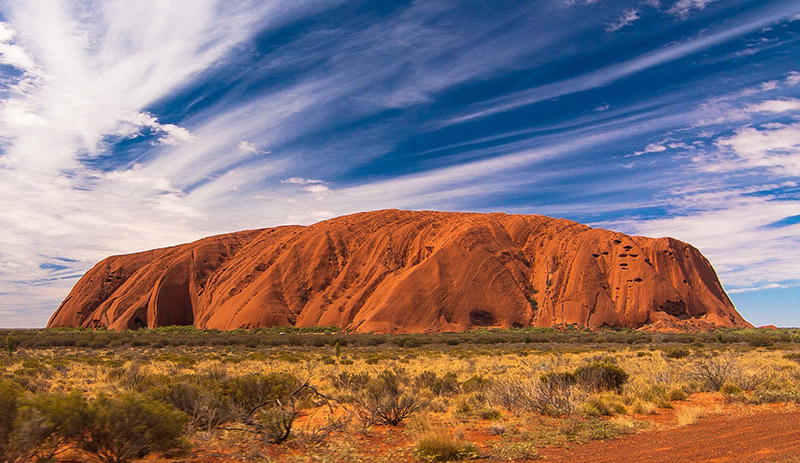 It’s known for its unique natural formations and pristine, white sand. The cove can only be reached by either foot or boat and once there visitors embark on a 45-minute hike. This takes them through colourful, lush greenery with views overlooking white cliffs. As well as staggered islands shrouded in plant life and clear, turquoise water. Once you reach the secluded beach, wander under the large tunnel-like formation that extends over the beach before enjoying the peaceful energy this location offers. Only a five-minute drive from Cathedral Cove is the vastly popular Hot Water Beach. Here visitors dig holes in the sand and relax in the warm water. Middle Earth fans cannot miss out on the pleasure that is Hobbiton. 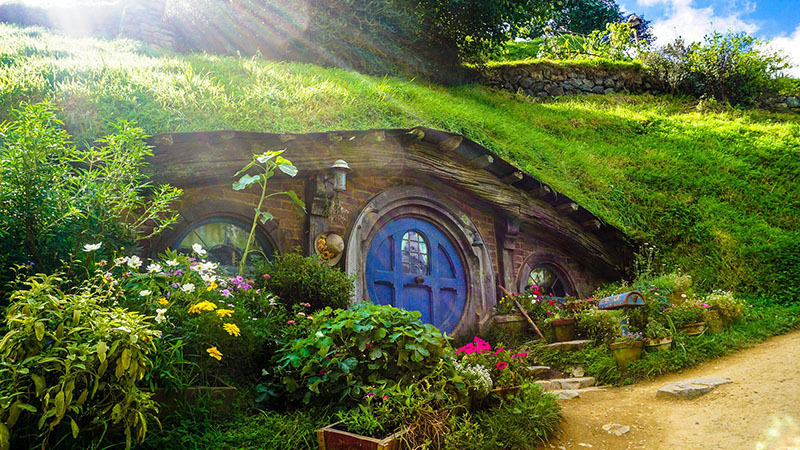 The movie set is comprised of countless hobbit holes, authentic props and vegetable gardens. As a result, it makes you feel as if you’ve stepped straight into the movie. The set was recreated from scenes in Lord of the Rings and was used to film The Shire scenes in The Hobbit. While here be sure to stop by the Green Dragon Inn to warm up and grab a locally brewed beverage. Taupo is a lakeside paradise, located approximately halfway between Auckland and Wellington. It is home to the largest lake in New Zealand, Lake Taupo. Here you’ll find an extensive range of aquatic activities on offer. Adventurers can enjoy lavish yacht cruises, parasailing, jet boat cruises, fishing, kayaking adventures and many more experiences. Some other attractions with a high reputation in the area include Huka Falls and the Tongariro National Park. Milford Sound was originally carved by glaciers during the ice age. 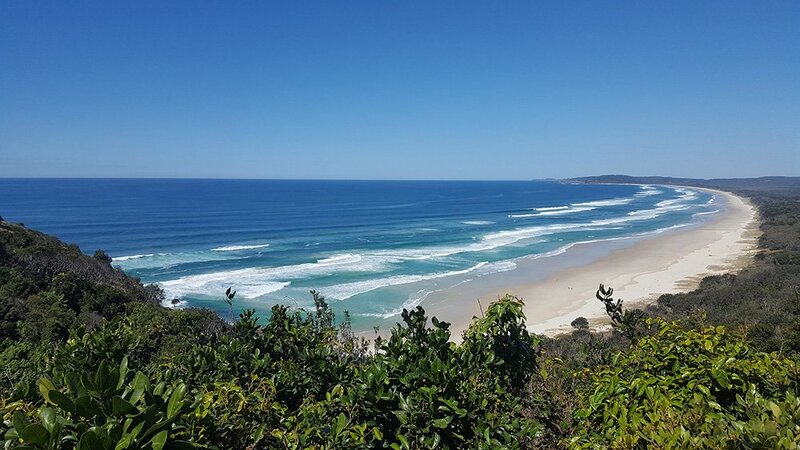 Travellers can visit and enjoy peaceful boat cruises, scenic flights, hiking adventures, kayaking, diving, or to simply appreciate the natural beauty of the region. 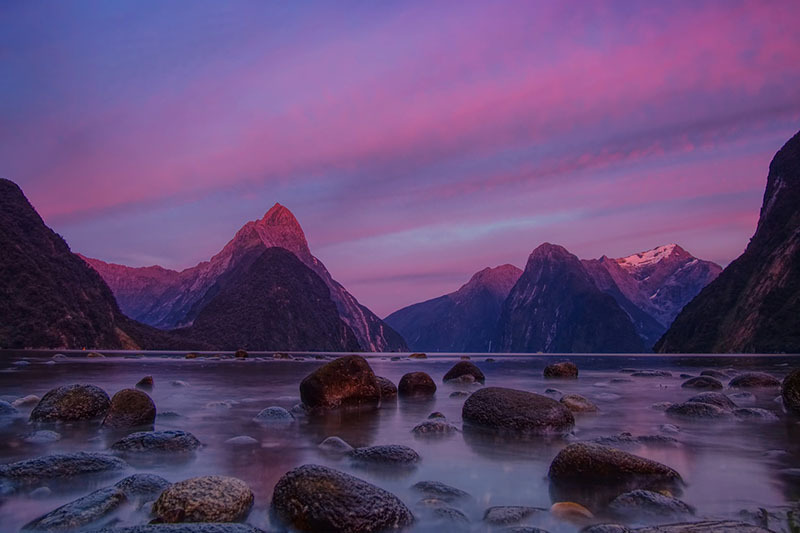 As well as towering mountains engulfed in vibrant shrubbery and cascading waterfalls from as high as 1000m, it’s not too hard to admire the serenity that Milford Sound exudes. Aoraki Mt Cook National Park is home to the country’s tallest mountain and longest glaciers. As such professional mountaineers regard the climbing conditions as some of the best in Australasia. The park includes over 19 peaks that are over 3000m high. However, the park is still very accessible. Less skilled adventures still find satisfaction from Aoraki Mt Cook National Park through mountain trails and stargazing experiences. 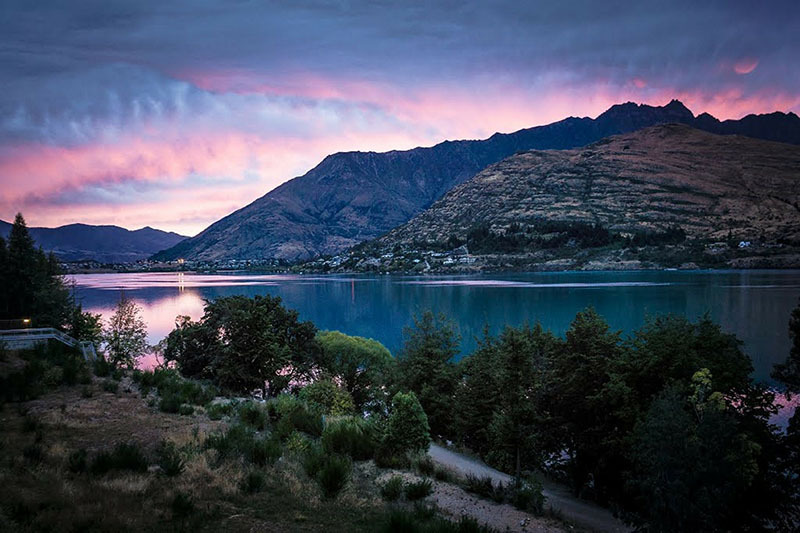 When it comes to adventure in New Zealand, many people are drawn to the city of Queenstown. This town is located on the border of Lake Wakatipu and on the cusp of the Southern Alps. Adventurers come to Queenstown to enjoy bungee jumping, jet boating, skiing, white water rafting, river surfing, canyon swinging and much more. Travellers also visit to see the vineyards of the region. Scattered throughout the South Island of New Zealand is a collection of quality wineries and breweries to explore and taste. Embark on a tasting experience, expand your palate and open your mind to the ever-expanding world of wine. Some signature wine regions that are worth stopping by include Hawke’s Bay, Central Otago, Martinborough, and Marlborough. 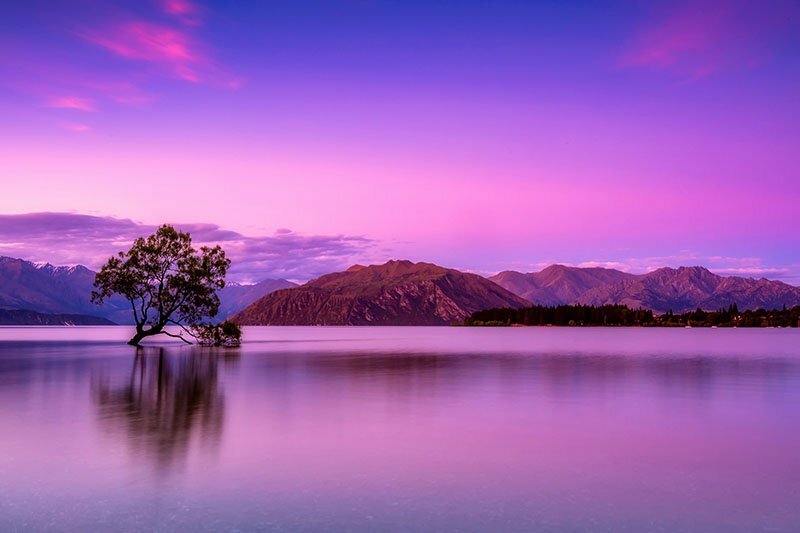 Lake Wanaka picturesque spot in New Zealand’s South Island. Its the fourth largest lake in the country and reaches a depth of over 300 meters. 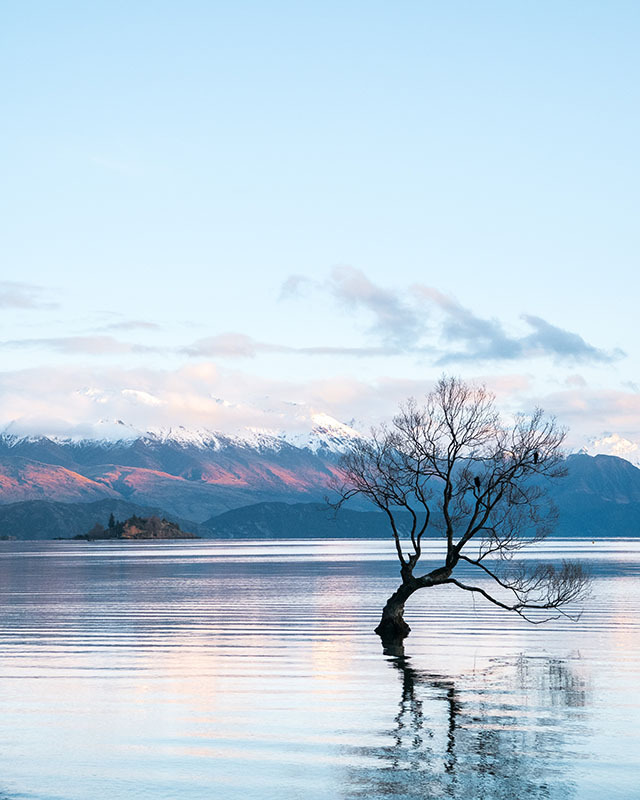 It also makes for one of the most famous spots for photography thanks to the willow tree close to the shore that is often part submerged in the water. New Zealand’s North and South Islands offer a diverse range of experiences. Although the north island is known for its bustling city life while the south is renowned for its scenic views, this unique combination of attractions and experiences across both of the islands is what makes a trip to New Zealand truly unforgettable. Hey Buddy!, I found this information for you: "10 Top Places to Visit in New Zealand". 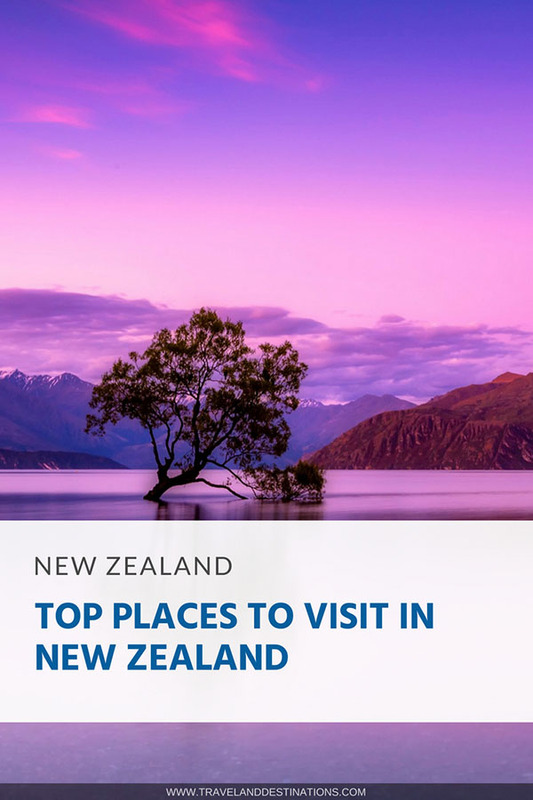 Here is the website link: https://www.travelanddestinations.com/top-places-to-visit-in-new-zealand/. Thank you.